Readers know that over the years I have highlighted, often critically, many Sikh organizations. Keep in mind that though Sikhs have been in North America a tad over a century, our effective presence as a viable community here dates to barely half that time. For the first half of our existence here the laws were super-discriminatory, and I have dealt with those realities earlier. I have not always been so kind to our gurduaras but they, too, serve a vital function in the life of the community. In time, they will surely move towards a different reality that’s less centered on our Punjabi Indian roots, and more directed towards situating our teachings and practices in North American society without compromising the fundamentals of our faith. And then there are organizations and institutions like SALDEF, Sikh Coalition, and Sikhs for Justice, Ensaaf, United Sikhs and Sikh Research Institute (SikhRi). Two features set them apart from the gurduaras: 1. These institutions have emerged almost entirely outside the ambit of the gurduaras. Gurduara support for these organizations is minimal and sporadic, if at all; and 2. They are the products of a new generation of Sikhs -- mostly raised and educated outside India. Naturally then the focus of these new pioneers is different as is their language and cultural mindset. Yet their attachment to Sikhi often runs deep. They exist to define for Sikhs and Sikhi an equal place at the table of this complex, multi ethnic, multireligious society. Quite expectedly they are dominated by young Sikhs men and women -- mostly lawyers trained in this country and they deal with the law as lawyers would. The first two – SALDEF and Sikh Coalitions form liaisons with legal institutions like ACLU, Bnai Brith and others that have a track record in the legislative process of this society. United Sikhs also picks up issues of discrimination here and abroad, such as the French Turban-ban but is also has an international presence in alleviating suffering after natural disasters like the Tsunami, Hurricane Katrina and the Haitian earthquake. The focus of Ensaaf and Sikhs for Justice remains the human rights of Sikhs everywhere but specially the matter of politically engineered campaign of genocide against Sikhs in the decade surrounding the year 1984 in India. Founded by young people, Sikhri has an equally important but different goal – the internal education and development of our community in the diaspora. It exists to provide education on Sikh fundamentals – the language, scripture, traditions and institutions that define Sikh existence. But in the past few years a different set of Sikh institutions are emerging to address another neglected dimension of our existence. Their focus, if I can summarize it, appears to be art and literature, developing connections with museums and universities, mounting exhibits and promoting the making and showcasing of plays and movies, and presentations on the glory and majesty of Sikh life and history. In other words, celebrating the many-splendored Sikh existence is the whole idea here -- and doing so along with our non-Sikh neighbors as part of the larger community. The interesting twist here is that these organizations provide an attractive mix of young and old – it spans the generation gap very successfully. Yet these ideas and initiatives emerge from the generation of immigrant Sikhs who have individually become professional and financial powerhouses, and mastered the art of networking with the larger non-Sikh institutions around us. Certainly one of the earliest such institution is the Sikh Foundation, founded in 1967 by Narinder Singh Kapany, a scientist and entrepreneur. The Founder is a noted collector of Sikh art and the Foundation’s over-riding interest is art, Sikh academics and publications. It has mounted exhibits of Sikh art in at the Victoria and Albert Museum in London and the Smithsonian in Washington DC; at museums in Toronto, Fresno, Santa Barbara, and at the Rubin Museum in New York in 2006, and the Asian Art Museum in San Francisco, where it has donated the Sikh art gallery. In its early years (1972-77), it tried its hand at publishing a quarterly called Sikh Sansar that started promisingly but died young; from 1984-85 it published The Sikh Times, a weekly to capture the trauma of 1984. Since the year 2000, it has produced immensely popular wall calendars that highlight historical or contemporary themes of Sikh life. Academically, it has worked to create Chairs of Sikh Studies at the University of California at Santa Cruz, Santa Barbara and Riverside, and at Cal State East Bay. It also facilitated programs of study at other universities in North America. The foundation also spearheaded the making of the film Amu, perhaps one of the earliest and most sensitive works on the events of 1984, that attracted crowds in America and was briefly banned in India. 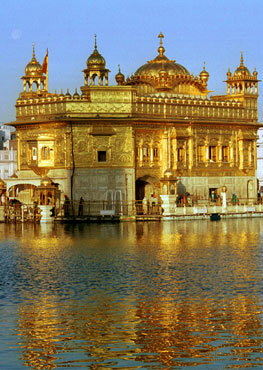 Then there is the New York based Sikh Art and Film Foundation – an initiative of the Bindra family in New York. 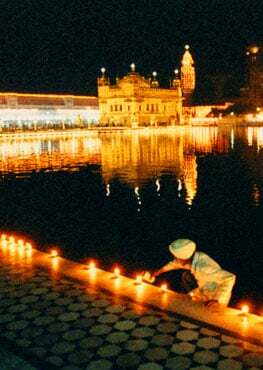 The Bindras have initiated several creative programs on or about Sikhs and Sikhi. Their endowment established the Chair of Sikh Studies at Hofstra University, and that led Dr. Hakam Singh to endow the first and only North American Chair of Sikh Musicology, also at Hofstra. The Bindras also endowed a Guru Nanak Peace Prize to be awarded for activities that further peace and inter-religious understanding; three non-Sikhs have been recognized so far. The Bindras have also actively pursued and promoted Sikh-Jewish dialogue and bridge building between these two vibrant minorities. They also undertake an annual showcasing of films and movies on or about Sikhs at locations like the Asia Society in New York. Don’t forget that the Sikh historical narrative in America is captivating, eventful, complex, unforgettable, and relatively young. Historically Sikhs remain the new kids on the block in this society. In 2006, this Foundation also led in the mounting of the first ever exhibition of Sikh Art at the Rubin Museum in New York that attracted crowds of non-Sikh viewers and attracted excellent notice by The New York Times and the national press. I should also add the initiatives of the SikhLens – an project of the California based Bicky Singh. An annual Sikh film festival; a yearly wall calendar with captivating art emerging from Sikh tradition and history are the hallmarks. I find even more fascinating the close working collaboration that has developed between this group and Chapman University that specializes in film making. Such movements have mushroomed. Similar Sikh art and film festivals are now seen across the United States and Canada. I think such visible activity – all of it largely outside the four walls of our gurduaras -- has inspired more young Sikhs to join academic programs on Sikh studies -- such as Harpreet Singh who just completed his doctoral degree at Harvard and Simranjeet Singh who is now pursuing one at Columbia University. I thought these organizations deserved notice, hence this column today. But, once again, full disclosure demands I tell you that I have been associated with most of them in one capacity or another, at one time or another. For instance, one of the several of Bicky Singh’s Sikhi related corporations is publishing my next book of essays. Let me be clear: Many more organizations contribute to the richness of our Sikh presence here. I mention only a few that I have been somewhat associated with. The omission of others is not by design but indicates the limits of my familiarity with the scene. I invite readers to carry the story forward. Certainly in time these organizations will escape the shadow of the founders – that is inevitable. And then, if they continue the good work, I would label them Sikh Institutions, not just organizations. A good business must outlast the founder. Do I always agree with what they do or how they frame what they do? Absolutely not! Sometimes their decisions make me wonder which planet they are on. But I understand that they have their own constraints and different realities. I personally don’t belong to any of these institutions; I work with them when I can identify with a project, or else I stay away from it. They don’t need clones and I don’t work well with clones either. Only a dead mind makes no mistakes; and who needs that? Unanimity of opinion and homogeneity of ideas is not a Sikh teaching – not in my view. I illustrate what I say by an example or two. Ever since 1984 when the Indian government and its minions brought to life with a vengeance the fictional classic of George Orwell, Sikhs the world over have cringed at the propaganda machine of the Indian government that has never honestly acknowledged the harm done to its own citizens when Sikh killings were orchestrated by people with political power. And when the Indian government’s agents attend or are invited to Sikh functions, Sikh anger is often rightly palpable. So much so that some Sikhs walk out of such functions and the organizers of such gatherings face Sikh wrath, if ever an India-government person is recognized from the stage. Let me be clear: my blood, too, goes aboil at such happenings. I have seen such people recognized and even honored in many places -- from Toronto’s celebratory Centennial Foundation to Bindras’ many chic affairs. The founders and the bankrollers of the functions were always present. But let’s not pick one such institution, whether it is the Centennial Foundation or the Bindras gala. Many, who are now openly questioning the Sikhi of those who hold such functions are the people that I have, in the past, seen in such functions where they performed prominent roles. The loudest scolding voices today are those that I heard leading and lauding such functions not so long ago where Indian government dignitaries were recognized. I am glad to see them changing their opinions but to air their private differences in the public arena is neither helpful nor dignified. Now, I see a plethora of postings on the Internet – the readers’ passions have been aroused by ill-considered and intemperate words. I would classify some of the writings thoughtful but many more as a harangue. And haranguing others is neither welcome nor educational; it is unproductive. Readers know well that I am not fond of government connected spokesmen from India. Why then did I remain silent and why do I raise this matter now? Because while these Indian government bureaucrats were present there were always movies or presentations on the injustice of 1984 that these people got to see. And that they need to do so. No compromise was ever made on that. I recall when Amu, a classic film on the injustice of 1984 was screened and its maker, Shonali Bose, honored with a standing ovation, the whole assembly of several hundred stood up – except the 3 or 4 Indian government people. If they felt embarrassed that is good; if they learned something that’s even better. But don’t hold your breath for it to happen. I am reminded of Diwan Kaura Mull, a legendary Hindu or a Sehajdhari Sikh of the 18th century, who is even today remembered for his kindness and help to Sikhs during their worst times when their survival hung in the balance. But he served the Mughal government all his life, even in those difficult times. Someone like a mole he was but critically important to us, and we know it. A fundamental of a conversation or a civilized exchange is to listen some and speak some as the Guru Granth recommends (p. 661): “Jab lug duniya raheeyae Nanak, kitchh suniyae kitchh kaheeyae. The idea is not to rush to judgment. It isn’t always easy. But when the mind is made up one has effectively closed off any and all discussion. The mouth is then open in speech, the ears are sealed shut. Judgment should come after the evidence is in and some attentive listening has been done, otherwise it is Alice in Wonderland we are living in – sentence first and trial afterwards, if at all. Life isn’t all black or white; there is a lot of gray to it. I would let people do what they do. If what they do meets my approval I would celebrate it; if not, I would calmly explain why I disagree. But I would not undermine the good that they might attempt or attain. From disagreements, sometimes passionate, arise ideas and progress. But nothing remains written in stone and new generations of Sikhs who will lead these institutions in time will find different ways to express their passion of Sikhi. I close with an Americanism that I like very much and sums up my attitude precisely: Keep your friends close and your enemies closer.